Virus icon . Black and white color set . 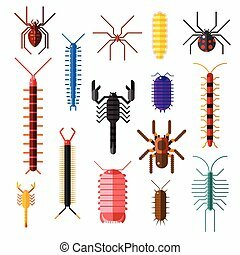 Set of danger insects on white background. 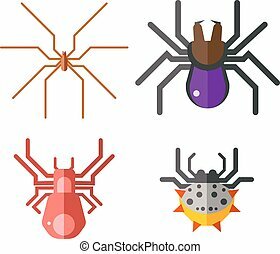 Danger insects vector animal bugs set and danger insects pest nature animal. Infection wildlife disease danger insect and poisonous virus dengue health fever. 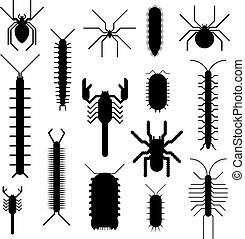 Cartoon viruses characters vector illustration organism biology. Isolated cartoon viruses characters on white background. 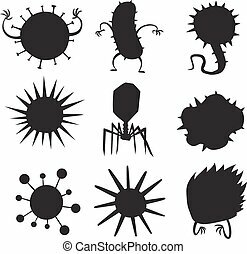 Funny vector graphic infection cartoon viruses characters bacteria ugly.